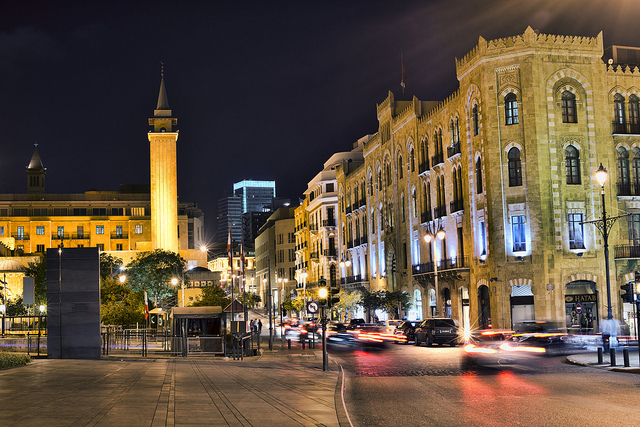 Capital of Lebanon, Beirut is a surprisingly beautiful city and home to a multicultural society. White roses sit in the bullet holes of statues in Martyrs Square, a reminder of the dividing lines and meeting points of the city's tumultuous past and flourishing present. Beirut is in the flings of an architectural and social renaissance, slowly re-establishing and renewing its reputation as the Paris of the Middle East. The call of the Muezzin rings alongside the sounds of indie rock gigs in bars that spill into the streets. Curiosity, learning, and growing among strong cultural legacies is all part of living in the city. The architecture reflects its history, a blend of French colonial buildings and religious structures sprinkled between modern skyscrapers and apartment buildings. Ashrafieh is the focal point of Western culture in the city. Hamra is home to an abundance of shops and restaurants, while Centre Ville is the city's central business district and one of the oldest parts of the city. Manara and Jnah are home to hotels and beach clubs, and Ramlet el Baida features the only public beach in Beirut. The city isn't left untouched by recent terrorist activity. Tragically, Beirut suffered devastating twin suicide bombings the day before the Paris attack in November 2015. While the city has weathered the storm, tourists are advised to be cautious and wary of travel and consular warnings.